We had arrived pretty late in the evening and once we were all done checked in at Orange Hotel Ximen we went out to explore the neighborhood a bit. 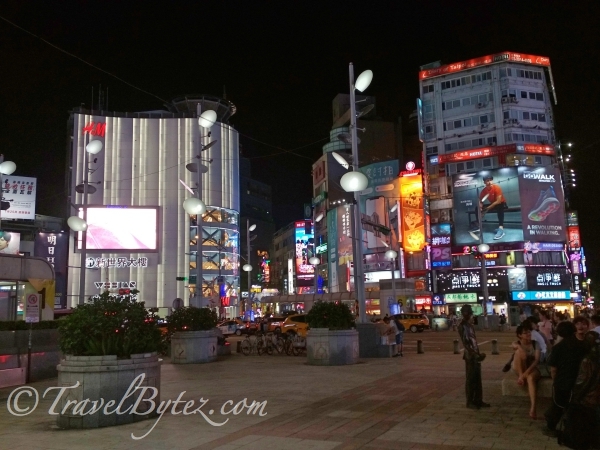 It was a Friday night and Ximending was bustling with people. 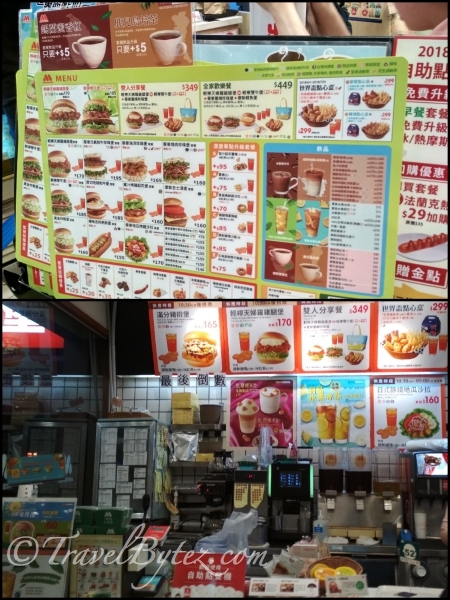 The menu items at the Taipei Moss Burger outlets are more diverse and appetizing then Singapore’s, and quite a delight just looking at the menu. You can choose between a rice patty burger or a the regular burger (bread) buns, with a choice of beef, chicken, pork, seafood or vegetables filling, along with a choice of sides such as fries, hot dogs, fried chicken, shrimp, dessert or croquette etc…There are also various promotions that encourage customers to come back. The prices are reasonable too. 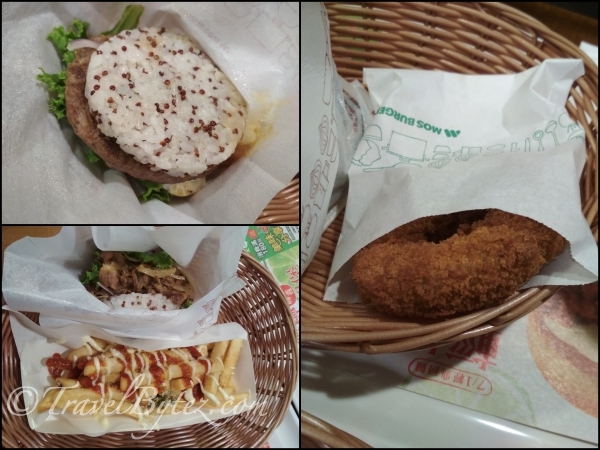 I had the beef yakinuku rice patty burger with fries and DramaQueen had the pork rice patty burger with a curry croquette in the shape of a doughnut. 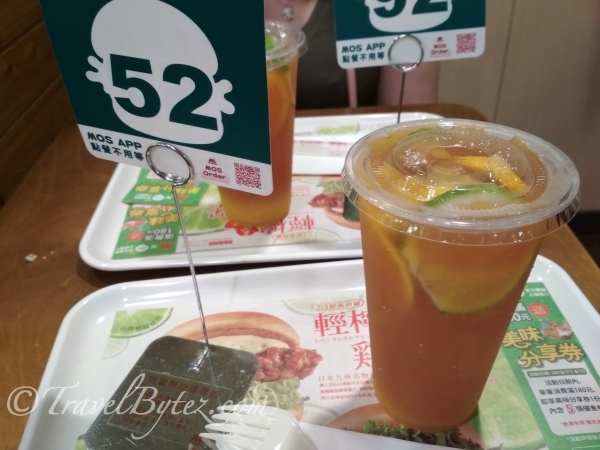 The meals came with ice tea which had slices of lemon and lime, giving it a refreshing taste. With our tummies satiated, we walked around Ximending and did a little shopping before heading back to our hotel to have a good night's rest for our adventure at Jiufen and Shifen the next day.